being little • bristol uk fashion & lifestyle blog. : in the desert. I mentioned lusting after desert boots in my wishlist post the other day, and these beauties arrived on my doorstep this morning. Just look at them. They're perfect. "They're Clarks Originals. Always have been. Always will be." This classic design is so easy to wear, and has been since 1949 - you can't really argue with that. These are my new go-to shoes, what with colder weather rolling in. I chose them in black so that they'd go with everything - skirts and tights, skinny jeans, leggings.. I've wanted my very own pair of Clarks Originals shoes for a few years now, ever since I saw the sandals on someone's blog. 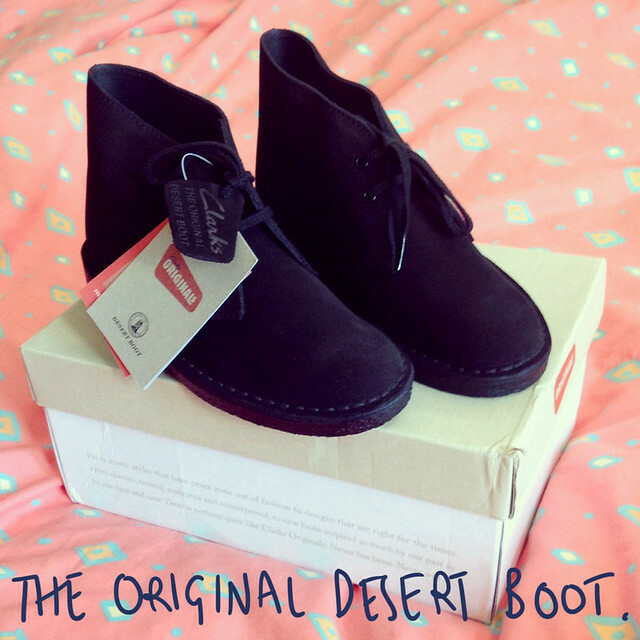 These desert boots are full of nostalgia for me, as I remember my parents wearing similar when I was little. I didn't think I'd be able to afford my own pair, but MyVoucherCodes saw to that! 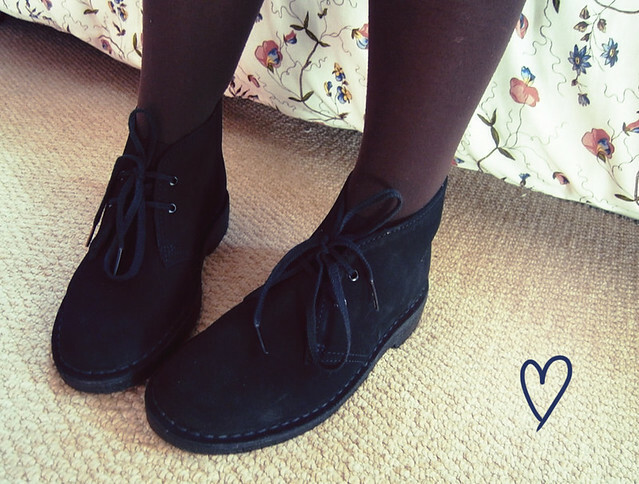 These boots are £79, but with the MyVoucherCodes 20% off Clarks discount they came to £63.30! And there's free shipping! This Clarks voucher code is only valid until midnight tonight, but it's always worth checking the MyVoucherCodes site before buying stuff, as it always has loads of discounts on there! 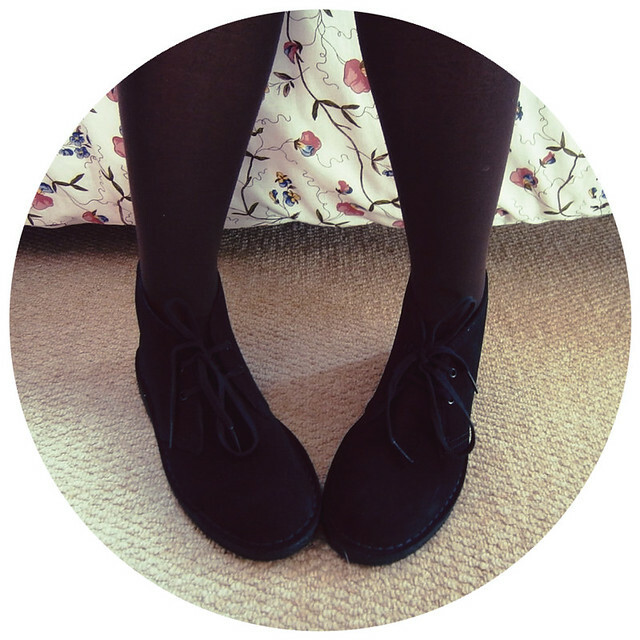 You can expect these to feature in a lot of outfit posts over the next few months! I'm off to go and stare them a bit more.. This post was sponsored by myvouchercodes.co.uk. They're amazing! Wish I was in England right now to get a pair! 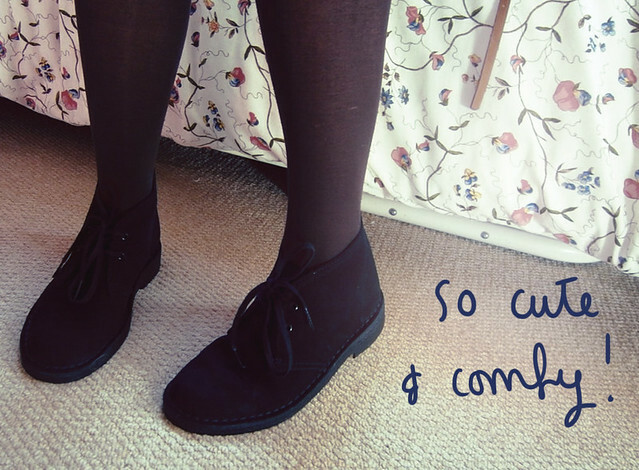 they are lovely, i want a pair of desert boots! They are so cute! They look absolutely adorable! Classics are always the best. I bet they'll last ages and be well worth the money. These are such sweet little booties for fall! I love 'em! They really are the original! Oh my, I love these - such cute shoes!! I tought my grey shoes look like yours but I was wrong. This one are so beautiful !